Does my baby have infant reflux? Find out NOW! Infant Acid Reflux Solutions can help you get answers now with our infant reflux questionnaire. Tired of being told, spitting up is normal, you're over reacting, your baby will outgrow reflux in a year; just wait it out? Do you need a real Pediatric Doctor specializing in infant acid reflux with answers and really cares? It's time to get your baby out of pain and start enjoying your baby in these precious first days. Here's what people are saying about us? We've worked with thousands of moms that searched for a doctor that will listen and help. Connect with a medical professional that listens, understands what's happening and can give you options that help FOR FREE! A doctor that knows how to treat and specializes infant GERD and infant reflux. We can help, we will listen and we do understand what you're going through. Yes, babies do spit up but when it starts causing pain, refusal to eat, constant crying and a ton of other GERD symptoms, it's time to get your baby out of PAIN. No parent should ever have to go through watching their baby suffer. No parent should have to worry if their child is going to survive the first year of life. Infant Acid Reflux Solutions will walk you through a system of questions that will determine if your baby has reflux and how severe your baby's reflux is. Next, we can provide you with viable alternatives to treating your child. Then you decide which is the best treatment option for your child. This is all done for FREE in our email consultation. The most important help we can offer you is information, education, and the choice in what you want to do to help your baby get out of pain and being happy, healthy and smiling. Don't lose another second of happy moments with your baby to infant acid reflux. Begin by sending us the infant acid reflux questionnaire. This will help us determine if your child is suffering from infant reflux. 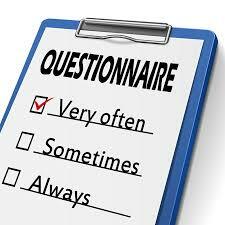 The questionnaire was created by a group of medical professionals that specialize in infant reflux and GERD. You will get a response from Jeffrey Phillips (Dr. P). He has been helping babies that suffer with infant reflux for over 20 years. He will give you information on what your options are. Then you decide what you'd like to do to treat your child. Your next step is to schedule an appointment with our on staff pediatric acid reflux doctor. She'll get on a live telemedicine video call with you and provide you with all that you need for the treatment option you decide. We're here to help. We're here to listen. We're here to make your babies belly better.